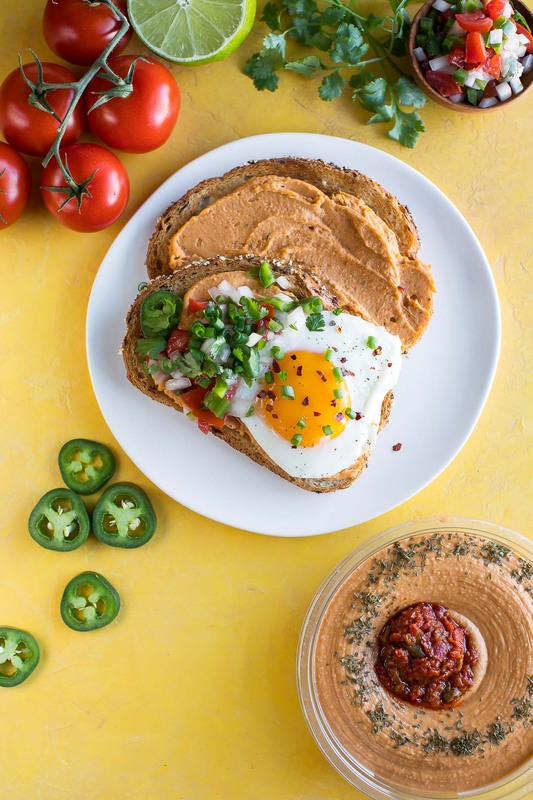 Hummus toast is the new breakfast of champions! 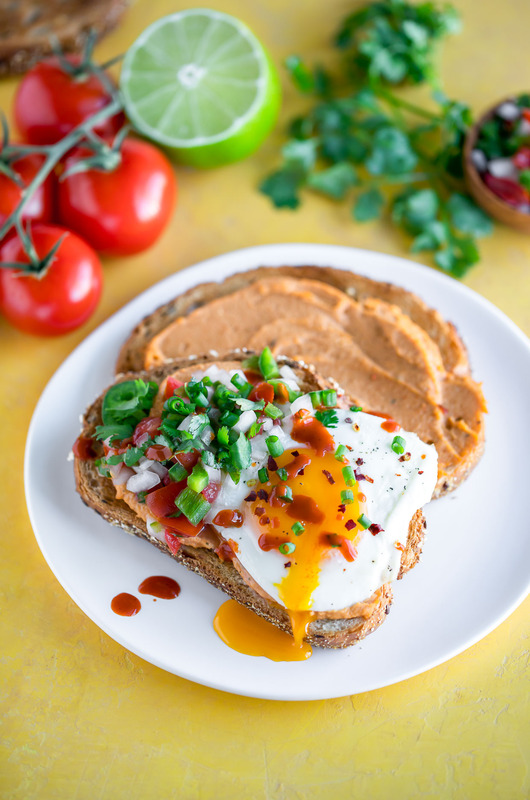 This healthy open-faced hummus sandwich features tasty taco hummus and fresh pico de gallo topped with a fried egg to seal the deal! Move over avocado toast; there’s a new breakfast toast in town! It’s no secret that I could easily eat hummus all day long, but this is my first foray into breakfast hummus-ing it up and I’m seriously loving it! 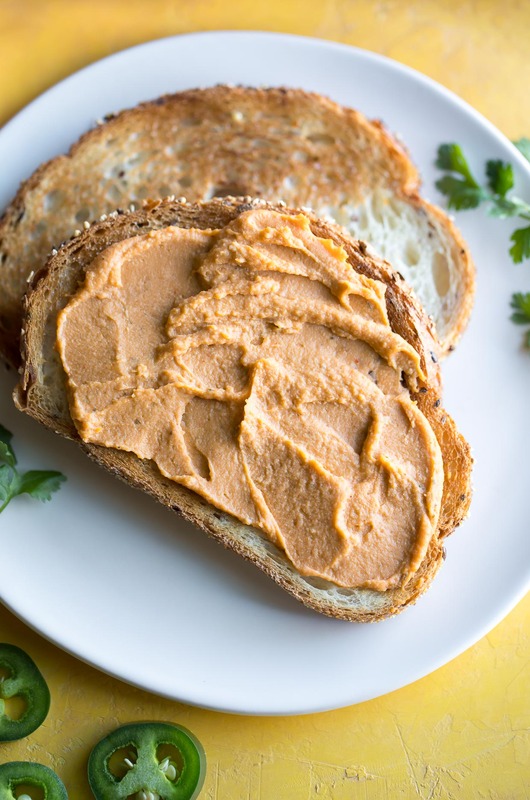 This nutrient-dense chickpea spread is a fantastic source of fiber, protein, healthy fats and vitamins, making it a powerhouse topping for your morning toast. It also makes a fabulous healthy snack to help you power through that 2:00 feeling that always seems to strike mid-day. The topping combinations are endless and you can basically top it with anything your heart desires! I went the Tex-Mex route this time around because TACO HUMMUS IS LIFE! I like to do a little meal prep for the week ahead, including making salsas and sauces to jazz up our eats all week long. In addition to my avocado salsa verde, I love to make a big bowl of pico de Gallo. It’s amazing on pretty much everything! We love to toss it on tacos, fold it into cheesy black bean and pepper jack quesadillas, and top it on our breakfast toast, of course. It’s a match made in heaven and just writing this post is making me crave a slice! 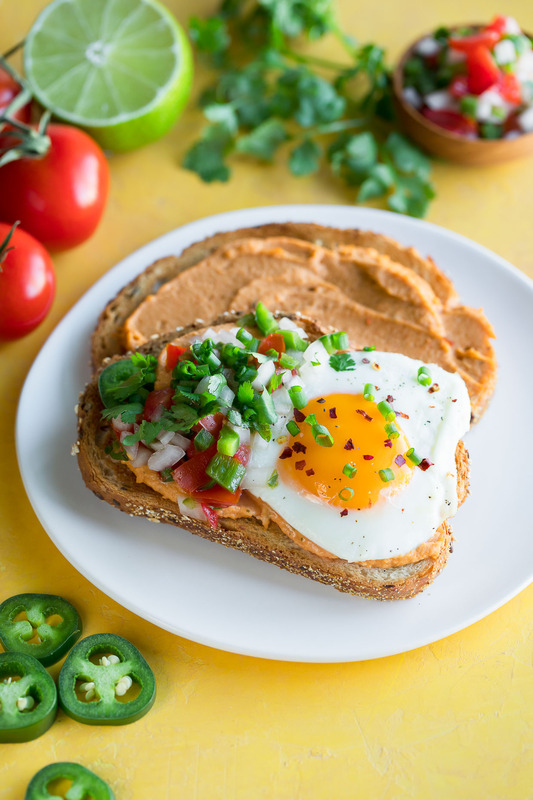 Get ready to shake up your breakfast routine with this tex-mex taco hummus toast. For the pico de gallo, simply combine the ingredients above. Keep in a lidded container in the fridge for topping your morning toast and all your snacking needs! You may also use your favorite salsa in its place. Cook egg via your favorite method. I went with fried sunny side up egg but hard boiled, soft boiled, and scrambled are all tasty options! 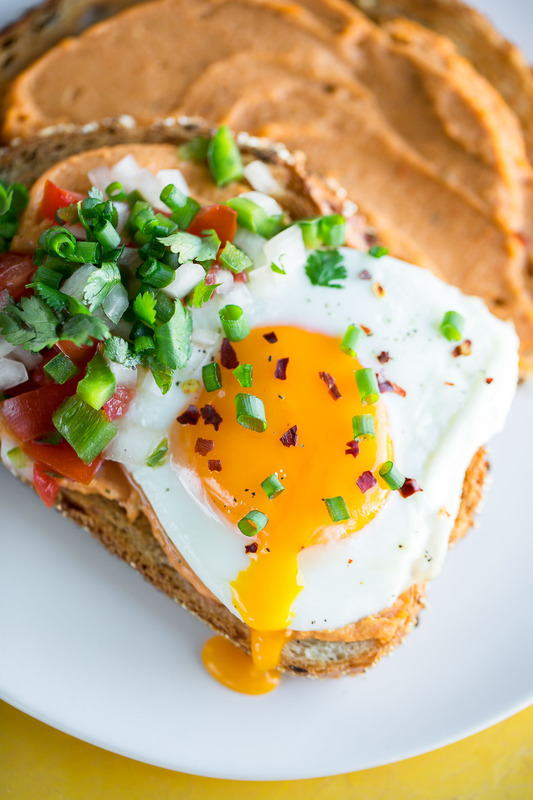 Spread toasted bread with a few tablespoons of taco hummus and top it off with your cooked egg. Lastly, add your pico de Gallo and garnish with your favorite toppings from the list above. Commence faceplant! 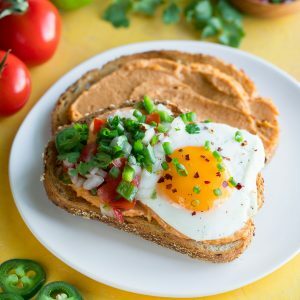 If you get a chance to try this tasty hummus toast for breakfast, let me know! Leave some love in the comment form below or tag your photos with @peasandcrayons on Instagram so I can happy dance over your creation! I can’t wait to see what you whip up! 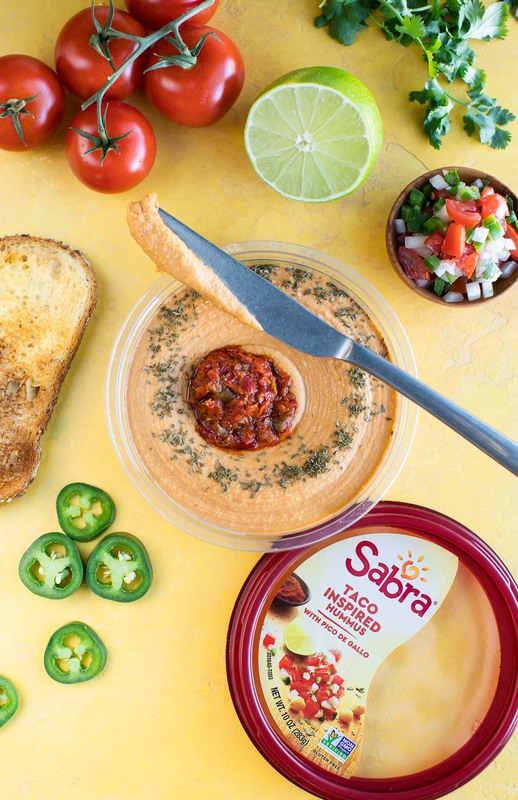 This hummus toast post is sponsored by the lovely folks at Sabra. 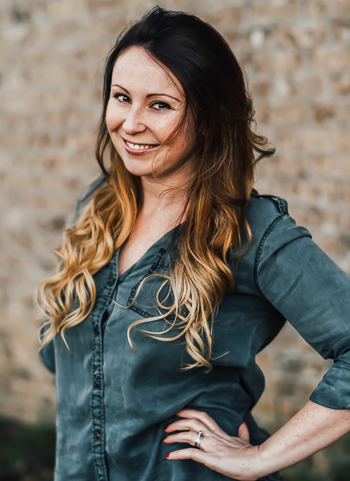 Thanks for helping keep the recipes fun and free! Breakfast of champions is right! This is such a smart idea and chock full of important protein to keep you full and running strong all morning long! Wonderful idea! Its fantastic fuel — and tasty too! Thanks Renee! I love this!!! I’ve been enjoying avocado toast for a long, but this may be my new fav! SO GOOD right?! I legit can’t stop making it!